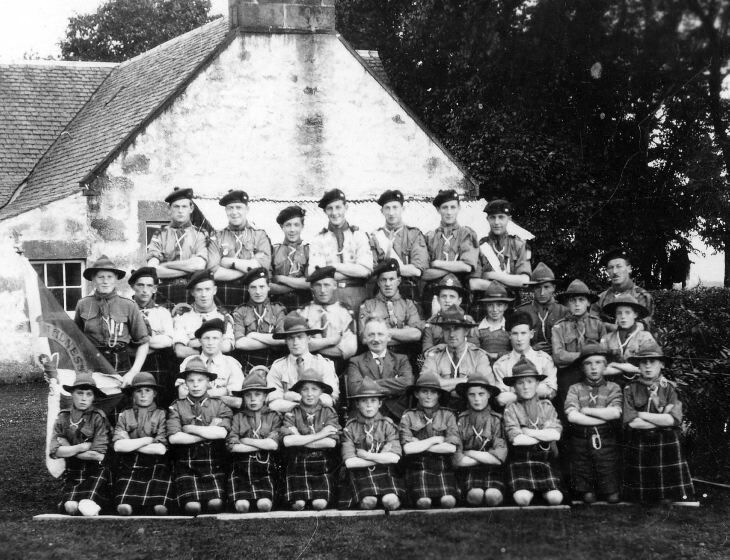 Group photograph of the 1st Alness Troop taken outside the gable end of a croft or farm house. It is inscribed 'With compliments of the 1st Alness troop, W D Johnston A.S.M. It is mounted on brown photographers card.